A family of Syrian refugees consisting of a married couple and five-year-old child bound for Indianapolis were sent to another state after Gov. Mike Pence's announcement this week that he was refusing to settle refugees in Indiana. The state of Connecticut quickly open their arms redirecting the family to their state. Many of us Hoosiers are disappointed and embarrassed by the governor's actions and want to send a strong message of support and welcoming to this family as they find peace upon our soil. Join fellow Hoosiers as we colloborate together to help Connecticut settle this family and reject Gov. Mike Pence's message that we as Hoosiers are unwilling to offer fellow humans in need a welcome. Send them a message of love and welcome to the United States of America. Funds raised will be directed to IRIS – Integrated Refugee & Immigrant Services of New Haven , CT.
http://www.irisct.org/contact.html to help in the relocation of this family to Connecticut. Funds exceeding the family needs will be shared amongst several more families accepted by Connecticut. Here are additional options to turn your good intentions into appreciated actions. Send money (in mailable forms: checks, money orders, etc.) or big box gift cards (Google to make sure they have stores in or near New Haven, or choose national brands like Target, Macy's, etc.). Send gift items only if they represent Indiana, or are hand-made with love by Hoosiers. Try to put yourself in their place. These people will want to select their own clothing, decorate their own home, etc., but a few thoughtful additions that say Hoosiers care are essential to our message. Identify your gifts as a contribution to the Hoosiers Welcoming Syrians fund. Mail everything by Nov 30, 2015 to be part of the final tally. Act on your best intentions as soon as you can, please. It is up to caring people to make the world a welcome place, and the universe is run by those who show up for the job. 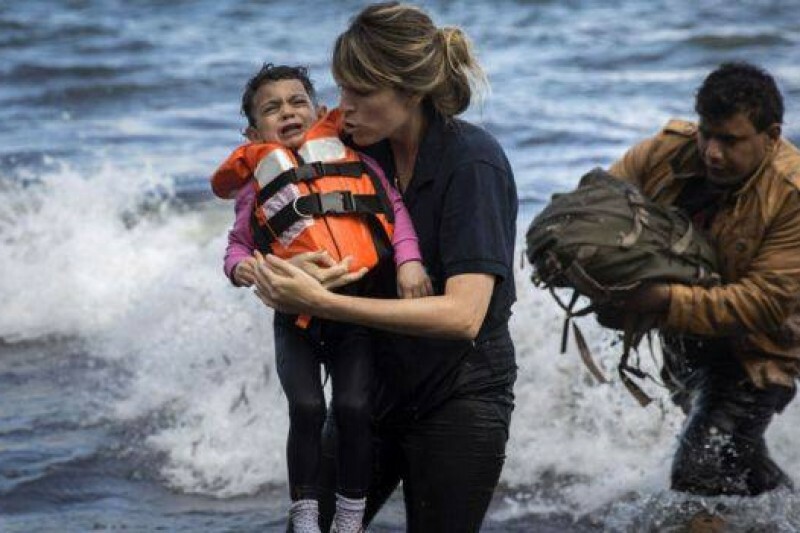 All the peace and love and acceptance to this family and all of the refugees. You have been through something we can't imagine; you deserve an extended family now.